30 days of unlimited yoga classes! Join the tribe as a new student when you purchase our Intro Pass for 30 days of unlimited classes (if you practice 3 times a week, that’s less than $4 a class)! Roll out your mat and claim your offer below! (must not have purchased Introductory Pass before). Often referred to as the best yoga studio Adelaide has to offer, our Power Living Adelaide yoga studio offers a tropical sanctuary in the city south. Set on the beautiful Halifax Street just a few blocks from the vibrant Central Markets, the studio is filled with natural light, living greenery, and an open-hearted community. We offer an extensive range of yoga; lessons on the mat you can take into the real world! From powerful hot yoga classes to relaxing yin yoga and meditation classes, we’ve got you covered. Power Living Adelaide studio is also home to our 200hr and 500hr yoga training program, educating many of the top yoga teachers in Australia and worldwide. We also share the space with Active Bodies Physiotherapy, who offer three treatment rooms for physio, massage, acupuncture, as well as rehabilitation and training facilities to support your best health. Ready to get on your mat? Check out your local studio’s timetable. We’ve got a range of passes and memberships; one is sure to meet your need. 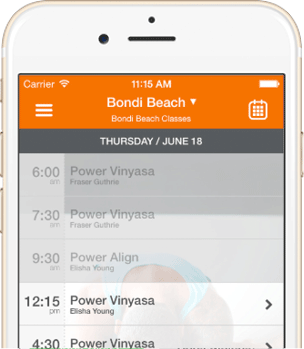 Power Living studios offer a wide range of yoga and other classes! Workshops, retreats and teacher trainings to help transform your life! New to yoga? Unlimited practice to all the studios with our $49 Intro Pass can help you get a feel for the practice, while getting to know our amazing teachers, try out all the yoga classes and of course strengthen your practice. Your journey awaits! Looking for more info before getting started? Check out our FAQs and newbies page and if there’s anything else you want to know, please ask! You can get in touch with us on Facebook, Instagram or in person at your local studio. We’re here to help you get the most out of your yoga journey. We look forward to seeing you soon. Introduce yourself to your teacher before your first class. They’re fully trained and passionate about helping you get the most from your practice. Ask questions. Being a newbie can be daunting, but we’ve all been there. Take care of yourself: rest whenever you need and listen to your body. Listen your teacher: they’ll give you cues to keep your practice safe and powerful, not to mention fun.